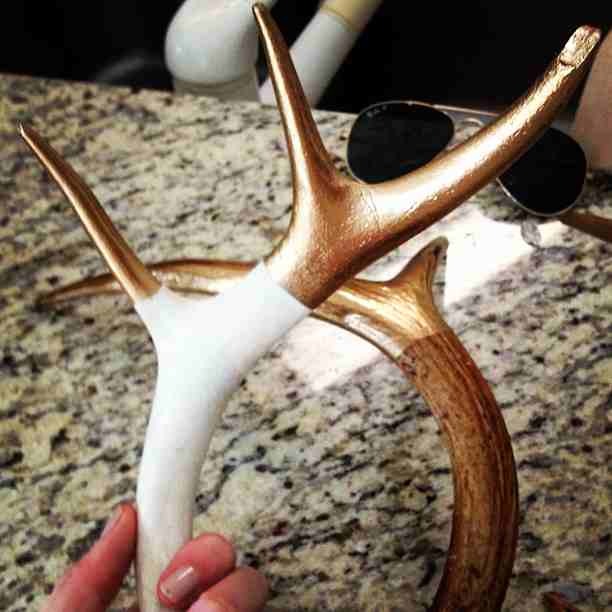 Last year I was on the lookout for deer antlers to spray paint for my shelves. Luckily my cousin had some old deer calls he wasn’t using. I just taped them off, spray painted gold, and viola!